"Blood in cat urine can be a sign of several illnesses including cancer, infection and injury." You might detect a change in your cat's urine color to red or red/brown if he or she is suffering from this problem. If you notice blood in cat urine, you need to take your cat to the vet. 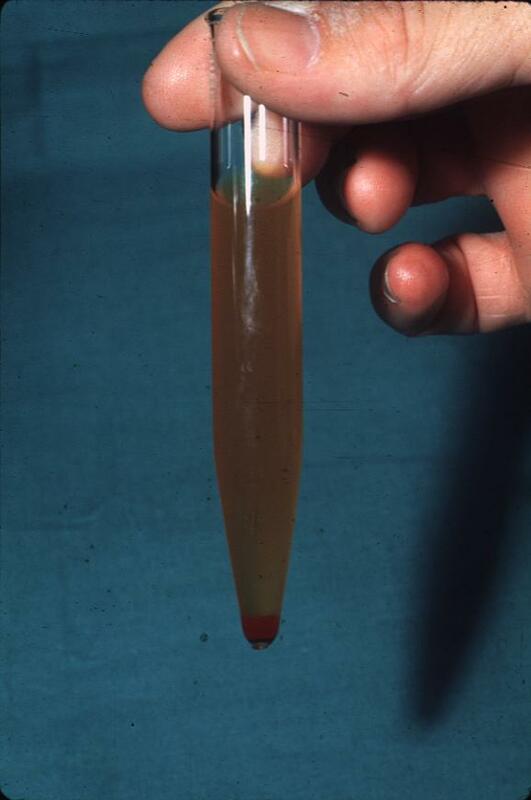 Blood in urine is always a sign of something that requires medical treatment. You may notice other symptoms in your cat as well, such as more frequent urination than usual, straining to urinate, urinating outside of the litter box, and painful urination (your cat may cry when urinating). Your vet will need to obtain a urine sample from your cat in order to test her urine for the presence of blood, bacteria, crystals that indicate bladder stones, and other abnormalities. If you are able to get a urine sample and take it with you to the vet, this will be helpful. Otherwise, your vet can get a sample when you take your cat into the office. Your vet will probably also do some blood tests to help evaluate your cat’s health. He or she may also do x-rays to check for the presence of bladder stones. An ultrasound could also be done to look for stones. Tumors will also show up on x-rays or ultrasounds. The treatment for bllod in feline urine (hematuria) depends on the cause. The most common cause of blood in cat urine is a urinary tract or bladder infection. This is treated with oral antibiotics. After a course of antibiotics, your vet may want to test your cat’s urine again just to make sure the infection is gone. You should notice an improvement in symptoms in just a few days, however. Bladder stones are less common, but not rare. They may or may not need to be surgically removed. Sometimes medication can be prescribed that will cause them to break up. Your cat may be placed on a special diet to help prevent additional bladder stones from forming. Your cat will be treated for trauma or other causes of blood in the urine as appropriate. It will be important to encourage your cat to drink as much water as possible in order to flush bacteria out of her bladder. Make sure fresh drinking water is available at all times.